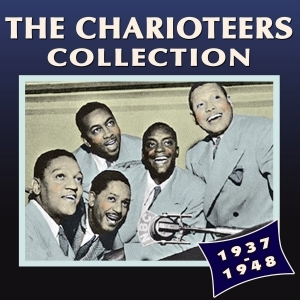 The Charioteers were one of the most successful and popular early doowop vocal groups, developing from their inevitable roots as a close-harmony gospel quartet in the 1930s to become national radio stars in the USA in the ‘40s, eventually starring on Bing Crosby’s network Kraft Music Hall programme. This great-value 56-track 2CD collection brings together A &B sides of selected releases on Vocalion, Brunswick, Okeh and Columbia between 1937 and 1948, along with a radio broadcast from 1942, providing an cross-section of their work and showcasing their distinctive and accomplished vocal styling. It’s an essential acquisition for any fans of gospel and doowop who do not have material by this highly-respected group in their collection.